LENOIR, N.C. - Broyhill President Harvey Dondero is stepping down Aug. 2 after serving in the role for about nine months. Dondero said it was his decision to leave the company as part of a plan to pursue a new project in the industry. He is being succeeded by David Workman, senior vice president of sales at Broyhill. Dondero declined to provide further details about his plans at this point but said that he was able to accomplish what he was asked to accomplish at Heritage Home Group, parent company of Broyhill. He also described Workman as "an extremely capable person who will do just fine" in the new role. In an internal memo to employees dated July 26, Heritage Home President and CEO Pierre de Villemejane thanked Dondero for "his leadership in the successful transition of the Broyhill brand into a stand-alone business." Dondero also served as president of Broyhill from 2005-2007 and also previously served as president of Universal Furniture. 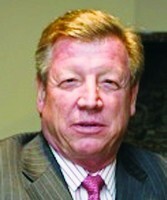 Before rejoining Broyhill this past November, he was CEO of Theodore Alexander since August 2007. In his new role, Workman reports to de Villemejane, who said he will have overall "bottom line responsibility for the Broyhill business." "David's extensive commercial experience and understanding of the Broyhill business will provide the focus to drive Broyhill sales while ensuring we are exceeding our customer's quality and service expectations, improving the brand profitability and growing our topline success," de Villemejane told employees. He said that Workman has more than 19 years in the furniture business, starting as a sales representative for Lane Furniture. In 2012, Workman moved into a series of sales management roles including vice president of sales, strategic accounts, e-commerce and business development and vice president of sales of the core brands sales division. In December 2017, he was named Broyhill senior vice president of sales. In that role, the company said, he was instrumental in the development and implementation of a channel-focused sales management structure for Broyhill's residential, e-commerce, alternative distribution and licensing markets. "Your continued cooperation and support for David and the entire Broyhill team is greatly appreciated as we make this transition," de Villemejane said in the memo to employees.